4k00:14Happy girl with a gift dog. 4k00:09Close shot of a middle aged woman kneeling down weeding between a bed of pretty tulips in her garden. hd00:16Woman in pink sari sitting in flowers and touching and smelling roses in park. 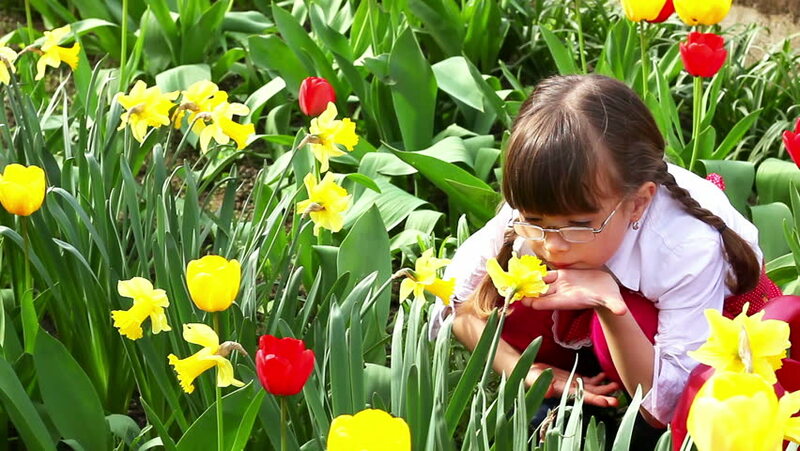 4k00:23Curly little girl sniffing a yellow daisy in summer park.